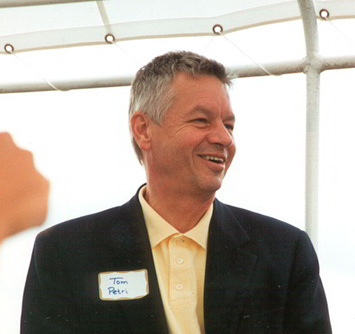 U.S. Rep. Tom Petri, R-Fond du Lac, recently introduced an ambitious bill that would give a $500 grant to all newborn children born in America after Dec. 31, 2005. The American Saving for Personal Investment, Retirement and Education Act —known as ASPIRE — would provide each child with a personal savings account that would earn tax-free interest. Parents could add after-tax contributions of up to $1,000 to the initial $500, or could let the initial investment sit. Families below the poverty line could receive an additional government contribution of up to $500. When the child turns 18, the money could be used for education or a first home. The money, combined with contributions from parents, could add up to a significant amount over the years, local investors say. The government grant would be invested in private sector assets, according to a press release about the proposal, and a new agency would be established within the U.S. Treasury Department to oversee the accounts. Once the child turns 18, they each have several options. If they decide not to withdraw money to pay for college or a home, the money could be left alone to supplement retirement savings. In the release, Petri said the proposal would help kids get ahead and would teach children that even a modest investment can grow into something of significance. Petri said the cost to American taxpayers to fund the program would be minimal. He said the cost would be based on the number of children born each year, which is currently between 3 and 4 million. He estimated the total cost for all taxpayers to be between $1.5 and $2 billion per year. Broken down, Petri said the proposal would cost each taxpayer an average of 10 cents to 20 cents per year, depending on the income tax bracket. The bill has garnered support from several representatives since its July 22 introduction. Petri said although it is late in the current congressional session, he is confident the bill will continue to gain support and believes he’s helped lay the bill’s foundation for the next congressional session.